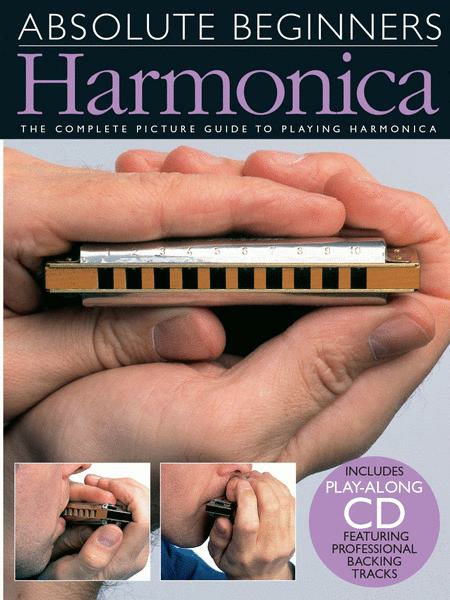 The Complete Picture Guide To Playing Harmonica. Absolute Beginners. Learn To Play and Play Along. Softcover instructional book, accompaniment CD and pull-out reference chart. With harmonica notation, instructional text, instructional photos and introductory text. 39 pages. Wise Publications #MUSAM92619. Published by Wise Publications (HL.14001007). 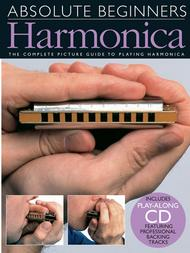 This complete guide shows how to position the instrument, play a repertoire of songs and maintain the harmonica. Pictures demonstrate proper technique and the cd allows the beginner to play along with professional backing tracks. - you can choose to play with or without harmonica accompanyment. The single disadvantage to this book is that it is a little light on proper mouth positioning and how to get clear, single notes. That said, this is still an inexpensive option to start playing the harmonica.